The WE TALKS webcast program was launched in April 2016. WE Talks is a series of short video productions by WE members for other WE members. As one key initiative under the WE Global Mentorship and Leadership Committee, the WE Talks program is intended to provide a forum for members to enlighten and inspire each other by sharing their professional growth experiences and challenges on a specific subject. Women career advancement and leadership are important initiatives for many companies today. A lot of firms have started a women’s group within the organization. 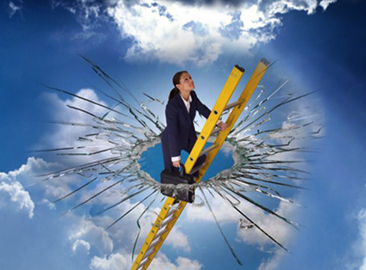 Many WE members have proudly made significant progress in their careers and in cracking the glass ceiling. However, the sad truth is that female leaders still remain rare in finance industry today. We will explore several angles of the issue and possible solutions. We will listen to our speakers’ struggles and triumphs, the lessons learnt, the critical moments, the unconscious bias, the role of leadership, both male and female, corporate responsibility and anti-ceiling policies. WE Talks webcast was launched in April 2016. WE Talks is a series of short video productions by WE members for other WE members. As one key initiative under the WE Global Mentorship and Leadership Committee, the WE Talks program is intended to provide a forum for members to enlighten and inspire each other by sharing their professional growth experiences and challenges on a specific subject.